Honda’s Celaya plant in Mexico has started production less than two years after its construction started in early 2012. The plant made at the cost of 800 million US dollars will employ 3200 associates and have a production capacity of 2,00,000 units when it reaches full capacity later this year. As of now the plant is manufacturing the 2015 Honda Fit and will manufacture an all-new compact SUV later this year. The new plant is designed specifically for the production of sub-compact vehicles and also incorporates Honda’s latest vehicle manufacturing technologies to increase quality, efficiency and make it more environment friendly. The plant also gets LED lighting all round to reduce energy consumption. New technologies include 3-coat / 2-bake water based painting process, highly efficient general welder system, high speed servo stamping process and a high efficiency production line. Another transmission units plant costing 470 million U.S dollars will start manufacturing CVTs in the second half of 2015 at Celaya and will employ 1500 associates. Honda has started manufacturing the 2015 Honda Fit at a new, technologically-advanced automobile plant of Honda de Mexico, S.A. de C.V. (HDM). The new plant will increase Honda’s ability to meet customer demand for fuel-efficient subcompact models from within the North American region. Honda celebrated with an event which took place on Friday 21st February, attended by Enrique Pena Nieto, President of Mexico, and Takanobu Ito, President & CEO of Honda Motor Co., Ltd. 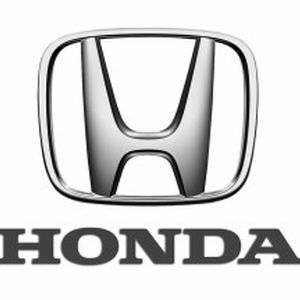 The start-up of the Celaya Plant increases Honda’s annual automobile production capacity in North America to approximately 1.92 million units. In 2013, more than 90 per cent of the Honda and Acura automobiles sold in the U.S. were produced in North America; this is expected to exceed 95 per cent when the Celaya plant reaches full capacity. Located in Celaya, Guanajuato, the 800 million U.S. dollar plant began production less than two years after construction started in early 2012, and will employ 3,200 associates with an annual capacity of 200,000 vehicles and engines when it reaches full production later this year. In addition to the 2015 Honda Fit, the plant will begin production of an all-new compact SUV, later this year. The Celaya plant, designed exclusively for the production of subcompact vehicles, features a number of Honda’s most advanced manufacturing technologies in the world, including several that were first introduced last year at Honda’s new Yorii Plant in Japan, to increase quality and efficiency and reduce the plant’s environmental footprint. Key technologies include: - A high-speed servo stamping press and adoption of a high-speed die change process that increases the efficiency of the stamping process by approximately 40 per cent. - An all-new, highly efficient general welder system, which joins the vehicle body panels together, achieves a major reduction in the number of welding robots, while increasing the number of weld points for higher quality and efficiency. - A new 3-coat/2-bake, water-based painting process (replacing the traditional 4-coat/3-bake process) to reduce energy consumption during the painting process by approximately 40 per cent, while enhancing paint finish quality. - A highly efficient production line intended to reduce the time and space for assembly processes, that includes a reduction in heavy-lifting processes for improved associate ergonomics, an increase of in-plant sub-assembly processes and new strategies that ensure both more efficient and more precise vehicle assembly. - LED lighting was installed throughout the plant to reduce energy usage. In addition, a new 470 million U.S. dollar transmission plant in Celaya is expected to begin production of continuously variable transmissions (CVT) in the second half of 2015, with employment of approximately 1,500 associates.